Del Mar Ocean Front rentalhomes for lease in the beach community of Del Mar. There are several sections in Del Mar where you can find ocean front rental homes and condos. First, the very south end of Del Mar is where you will find residential condo buildings like Del Mar Woods that are located on the ocean front. These can be great rental properties as they do come on the market from time to time. There are also many residential ocean front homes in this area as well. The second area would be the downtown Del Mar area known as the Village area. This is considered prime real estate due to the close proximity to all the shops and restaurants in the center of town. The final area is located on the very north end of town. Look for streets known as Ocean Front and Sandy Lane where there are a huge number of ocean front single family homes. Many of these homes are available for both short and long term leases. 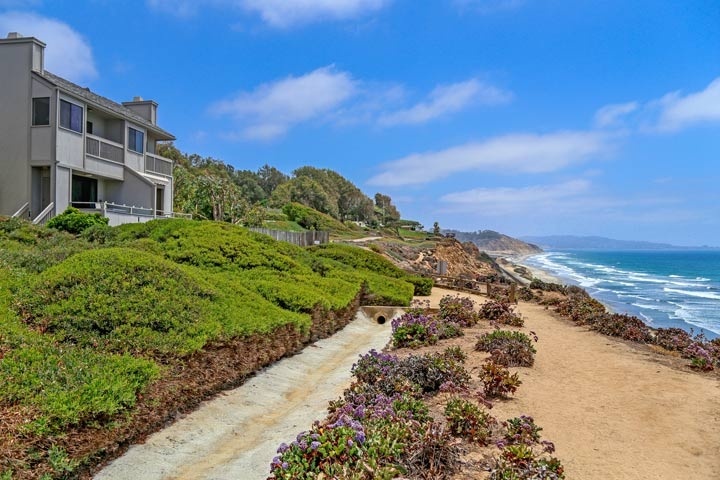 All currently available Ocean Front rental homes in Del Mar are listed below. Questions regarding any of the homes listed here? Please contact us at 888-990-7111 today.